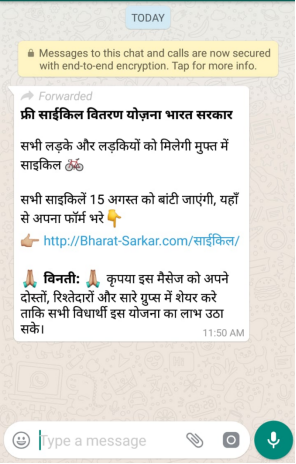 As India’s Independence Day (15th of August) approaches, messages about free distribution schemes are doing the rounds on WhatsApp. 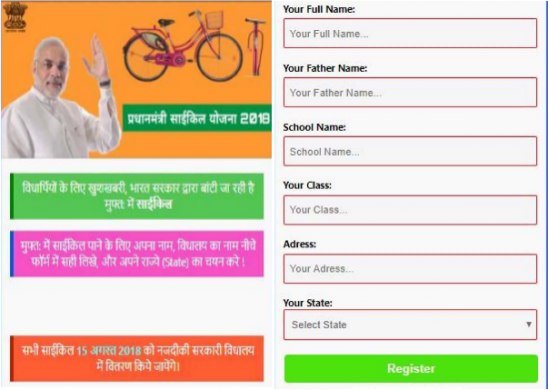 Just recently, Quick Heal Security Labs detected a widespread circulation of one such message claiming that the Indian government will distribute free cycles to students on Independence Day, under the Free Cycle Distribution Yojana (scheme) Government of India 2018. The message also asks people to fill up a form with their personal details and to share this good news with others as well. This message is fake and part of a scam to steal your personal information. Government of India hasn’t announced any such schemes. 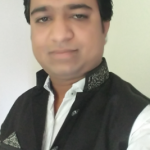 The link in the message is http//Bharat-Sarkar.com/साईकिल/. It is not registered on nic.in or gov.in. This questions the authenticity of this website. All government websites/domains are created and published by National Informatics Centre (NIC) which is the authorized science and technology organization of the Government of India under the Ministry of Electronics and Information Technology. The National Portal of India (india.gov.in) is the official website of the government of India where all official schemes are declared. The GOI web directory is a one-point source to access all Indian Government Websites at all levels and from all sectors. There is no mention of the website on India.gov.in and this only proves that the WhatsApp message is fake. 2. The page asks visitors to share their personal information such as name, father’s name, school name, class, address, and state. Once a user is registered, it says they have received your application and to complete the process the user has to forward the message to 10 more people on WhatsApp. 3. The page also has a “Terms and Conditions” section. See fig 3 below. Interestingly, the conditions state that this scheme is not associated with any government body and that they can cancel this program at any given time. 4. 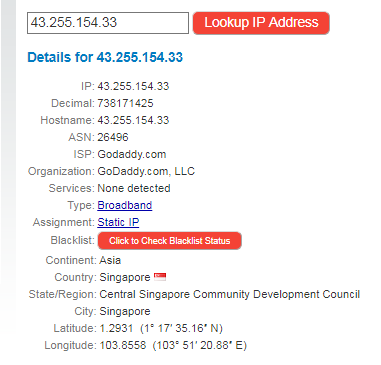 The IP address of bharat-sarkar.com is located in Singapore and hosted under godaddy.com. It is important to note that government websites are never hosted outside India and are only registered under National Informatics Centre (NIC). 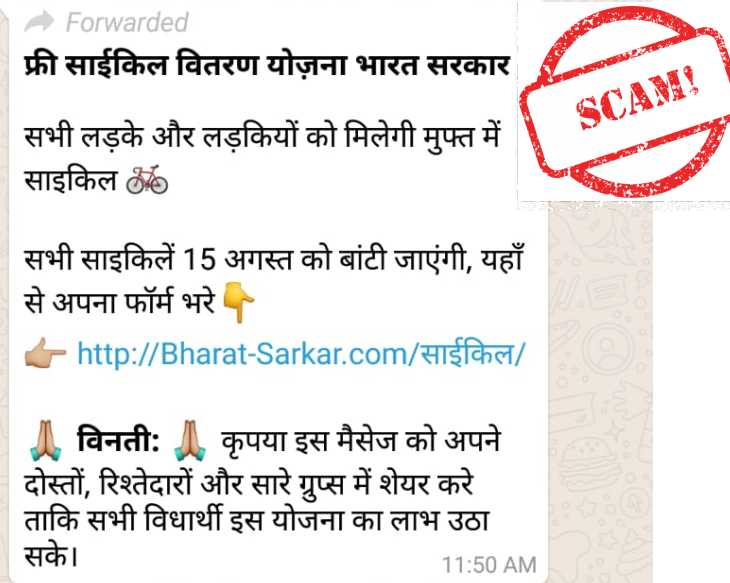 How to stay safe from such scams? Always verify offers and schemes by visiting the organization’s official website. Never share your personal information over emails, calls or SMSs with anyone. Never click on links received over WhatsApp or other messages. Doing so might get your device infected with viruses. Look for spelling errors or anything unusual in links of such messages. Sometimes a link may appear genuine but could be fake in reality. • To reduce the spread of fake news, WhatsApp is limiting the number of times a message can be forwarded/shared. Users in India will now be able to forward a message to 5 people only. In other countries, the limit is 20. Next postData Privacy. What is that?